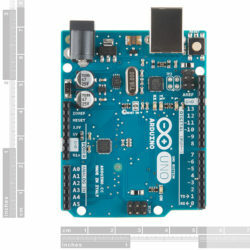 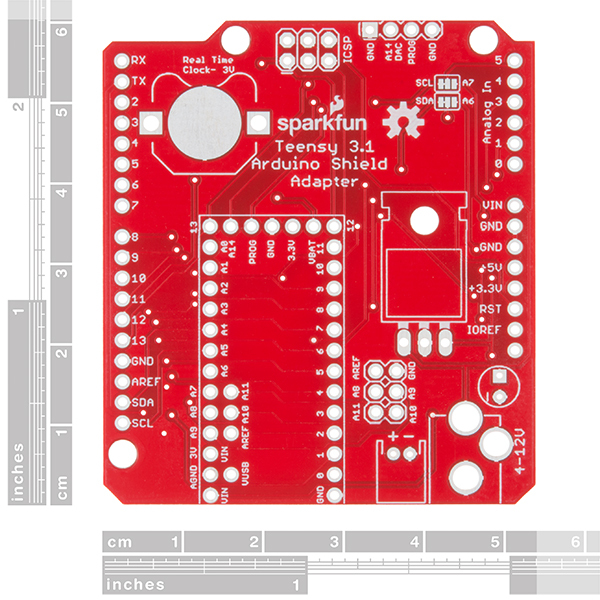 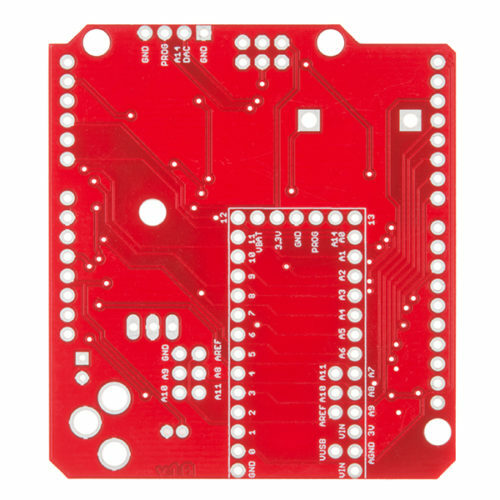 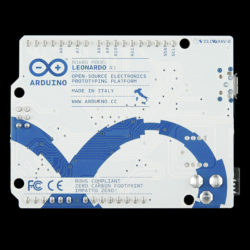 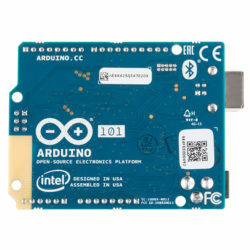 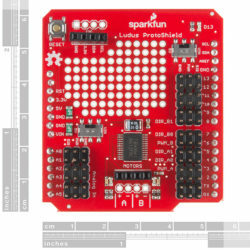 As we stated before, the Teensy Arduino Shield Adapter provides basic Arduino compatibility with your run-of-the-mill shield but there are a few other fun features that we’ve added on, as well. 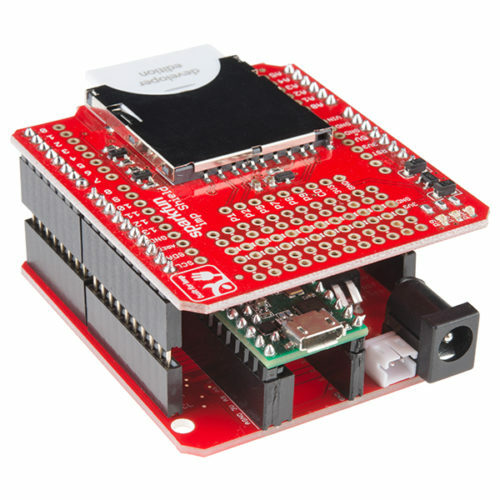 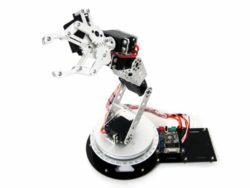 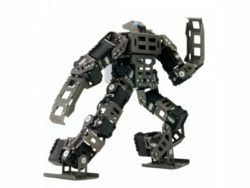 These features include a Real Time Clock (RTC) battery, a JST battery connector, a 4-12V barrel jack connector, an ICSP header, and more. 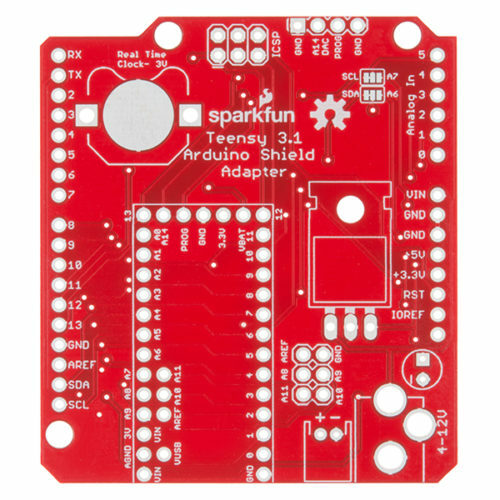 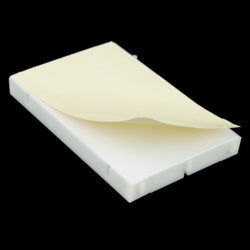 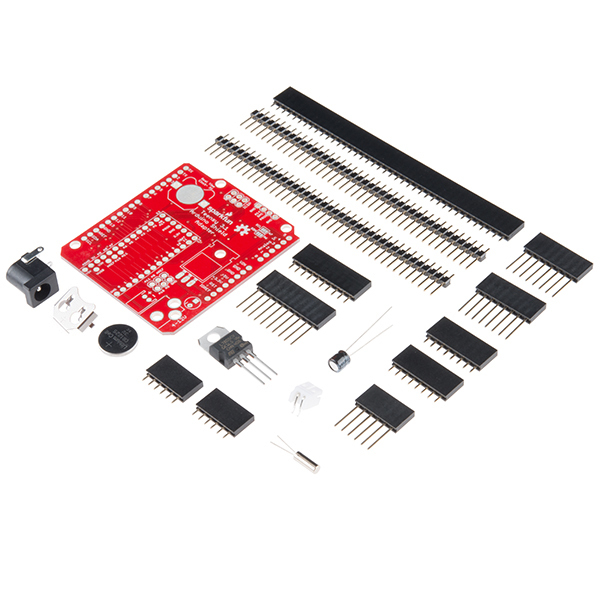 Because this board is simply an adapter, there is no special programming required to start working with the adapter. You will, however, need to program the Teensy for any Arduino shield you’d like to work with.